With the passage of time, advances in technology abound. 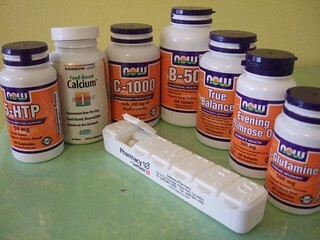 Over the last century, athletes have been introduced to vitamins, supplements, altitude tents, and hyperbaric chambers. And with advancements in technology, the World Anti-Doping Agency (WADA) keeps a close eye on what constitutes a banned substance. It’s been said that The Nike Oregon Project, which both Farah and Rupp belong to, flirt with the fine line between using what is a legal substance and what is an illegal substance. 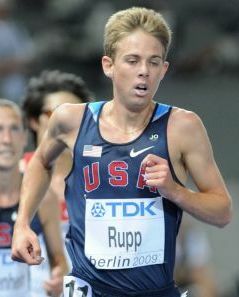 The current controversy centers around Rupp’s open use of the thyroid medication, levothyroxine. Athletes turning to levothyroxine are typically suffering from a condition called hypothyroidism. Hypothyroidism is the result of your thyroid gland slowing down, causing you to feel extremely tired, sluggish, cold, and possibly depressed. According to the United States Department of Health and Human Services, about 4.6 percent of the U.S. population age 12 and older has hypothyroidism. One theory is that overtraining creates hypothyroidism. So, to restore the gland and enhance performance, the athlete is given a legal prescription of levothyroxine. A Therapeutic Use Exemption (TUE) is then granted so that the athlete is cleared to use the potentially performance enhancing substance. However, there are other theories out there that suggest levothyroxine is being used for non-medical purposes. One theory includes intentionally using levothyroxine, which works like a stimulant, to enhance performance even if there is no diagnosis of hypothyroidism. Another theory is that levothyroxine masks the use of human growth hormone. These theories are relatively new, though. And what’s even more puzzling is that using levothyroxine without a hypothyroidism diagnosis carries the risk of developing the opposite, hyperthyroidism, in which the thyroid gland becomes overworked. This results in a rapid heart rate, increased anxiety, bulging eyes, and other potentially fatal conditions, including death. As the research expands, it will be interesting to see if thyroid medication eventually lands itself on WADA’s banned substance list. For what it’s worth, many doctors have different viewpoints on what levels constitute hypothyroidism. In 2011, I was given a prescription for levothyroxine after my levels read 4.8. Without getting too scientific, a 4.8 is questionable. Some doctors say anything over 5 requires medication intervention while others say anything over 3 calls for it. I remained on the medication for one year but went off of it after switching doctors because my levels were starting to reach the barriers of hyperthyroidism. So without consistency in opinion, it becomes relatively easy to obtain levothyroxine for therapeutic use. According to Anthony Roberts and John Romano, writers who are pro-PED (performance enhancing drugs) and help non-clean athletes pass drug tests, steroids and other PEDs were not introduced to sports until the 1960s. What does this mean for running? A quick look at the world records suggest that some of the longstanding records, particularly the women’s, may have been dirty. These times were run before the days of WADA and awareness of the rise in technology, including using simple vitamins and supplements to aid in recovery. So where to draw the line? Is there difference between someone following a careful regimen of daily vitamins and supplements versus someone using human growth hormone? This critical question is at the center of the PED debate in all of sport, not just in track and field. Use of performance enhancing drugs is at a turning point. Not a day goes by that the issue isn’t brought up on Letsrun. In fact, they are set to release the results next week of a community poll in which users rate whether or not they think the top athletes in the sport are clean or dirty. For those anti-PED, the awareness is being raised daily from such futile efforts. But by the same token, those pro-PED are doing their share to educate the public on the realities of PED use as well as possible benefits. It all comes down to being a tough ethical question that is clouded by ever-changing science and technology. What is your take on performance enhancing drugs? Do you believe that the sport itself is clean? Though not about our sport, I thought Tyler Hamilton’s book about Lance Armstrong and US Postal was very illuminating on this issue as it provided some insight into the mindset of these elite athletes who used PEDs and other performance-enhancing measures. When these sorts of things are so ingrained in a culture, you can almost understand why these athletes adopt these practices without feeling they are doing something wrong. It becomes part of what is required to compete on a level playing field. I really want to believe the NOP athletes, the Dibaba sisters, and others are clean – these people are my heroes! – but the definition of “clean” is becoming harder to pin down, especially for outsiders to the realm of the super-elites.